Specializing in Mercedes-Benz automobiles, the renown tuning company from Merzig, Germany has transformed the E 63 AMG into the lavish and muscular E-CK63 RS. At the core of the E 63 AMG lies a 6.3-liter V-8 engine with 525 horsepower and 465 lb-ft. of torque, shooting the powerful sedan to 62 mph in only 4.8 seconds. 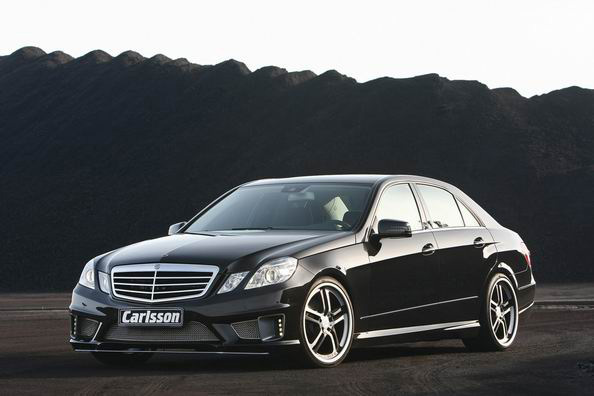 That however was inadequate for Carlsson Autotechnik. 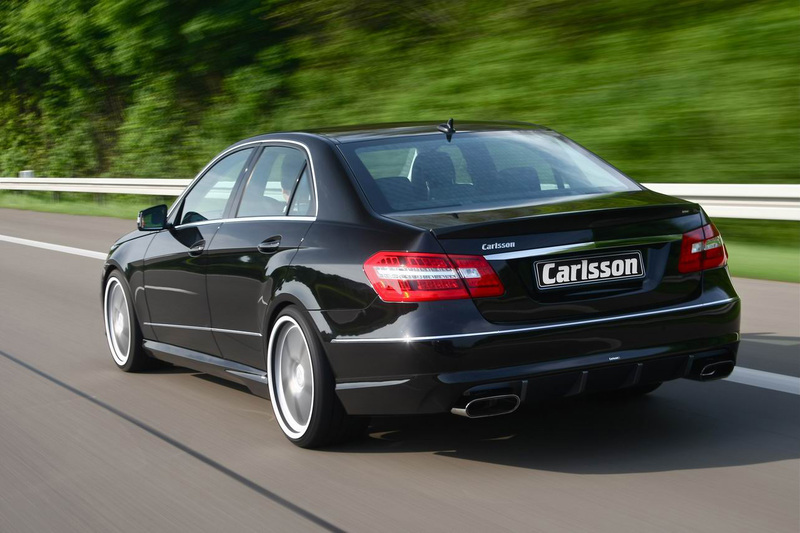 After re-engineering the engine with a revamped motor management system and a thunderous new exhaust, Carlsson was able to slash the 0-62 mph time down to just 4.5 seconds and increase power to a fierce 585 hp and 513 lb-ft. of torque. A new aerodynamics package created by head designer Rolf Schepp illustrates the power and elegance that defines the E-CK63 RS. Made of polyurethane (PU-RIM) the aerodynamic package features new side moldings, rear spoiler, and front skirt with an optional carbon front spoiler lip. The package creates greater downforce, ensuring greater stability and safety at high speeds. 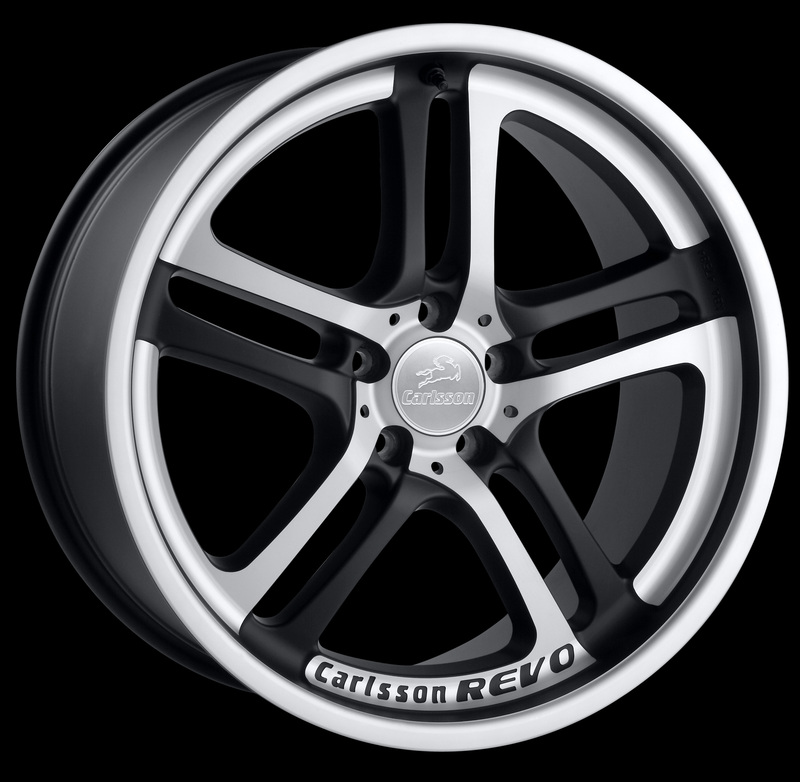 New Carlsson Mercedes 1/5 REVO one-piece light alloy wheels are showcased on the E-CK63 RS. 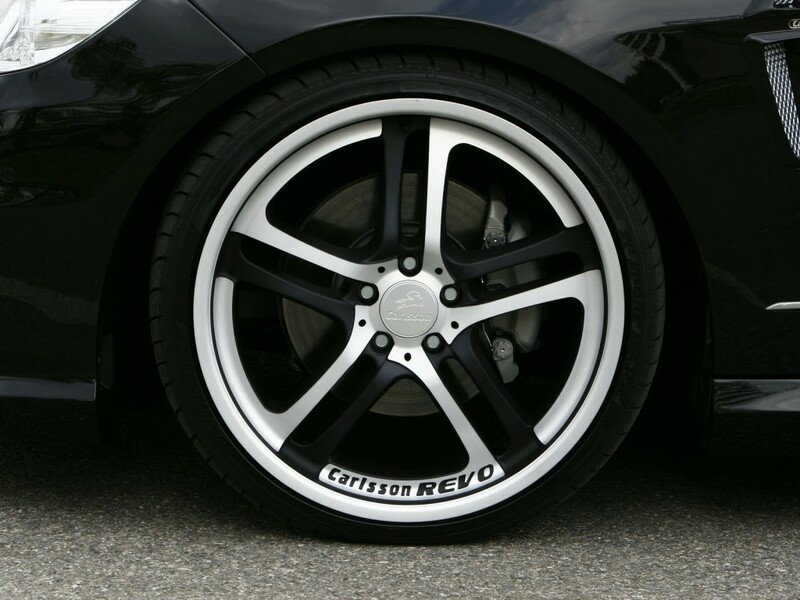 Measuring 20×8.5 inches front and 20×10.5 inches at the rear, the wheels features five double spokes, half flaunting a high-gloss polished surface while the remaining are painted in a matte black paint. 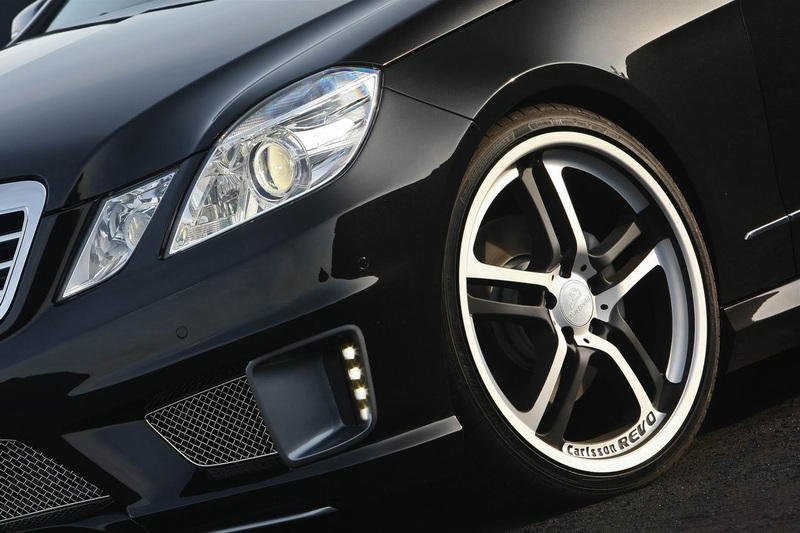 Illuminated floor mats featuring a glowing Carlsson logo emphasize the upscale interior of the E-CK63 RS. Fine leather and ultrasuede adorns the steering wheel, gearstick, doors, and seats, creating a plush atmosphere. Aluminum door locks, pedals, and footrest complete the luxurious cabin. 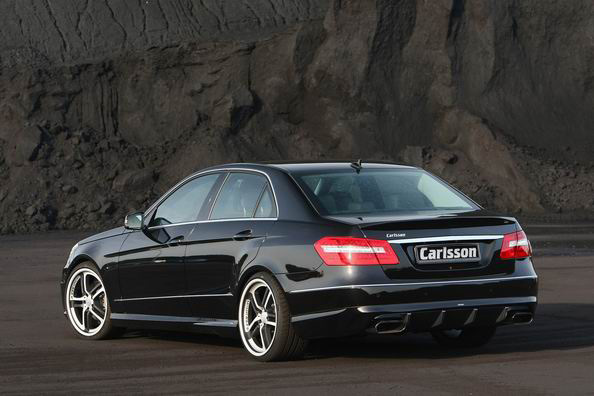 The elegant and powerful E-CK63 RS is available with a three year warranty from Carlsson.